Remember when we showed you those photos of the 2014 Jeep Cherokee like, earlier today? If you doubted they were real, doubt no more. Jeep suddenly (and without telling us) released images of the new Cherokee with a short press release. Happy Friday! Not that we blame Jeep for not telling us. We fast-forwarded their release by at least a few weeks (assuming they show it at the New York Auto Show as they hinted on Twitter they wouldn't do but now say they will do). Giving the photos out to, presumably, everyone but us undercuts our scoop a little bit and means we had to download these photos from Autoblog (thanks Autoblog!). But our little part in it is less important than the big news: It's a freaking new Jeep Cherokee. Rejoice! And it looks much better in these official pics than in our spy photos. A few hilarious jokes aside, most of us here think it's a good idea to move the brand visually forward. Auburn Hills, Mich. - Jeep(r) Cherokee. The name is instantly recognizable as the most capable and versatile mid-size SUV in the world. For 2014, Jeep brings the Cherokee name back to North America with the debut of its all-new mid-size sport-utility vehicle. Set to debut at the New York International Auto Show in March, the all-new, "no-compromise" 2014 Jeep Cherokee sets a new standard with even more best-in-class capability, exemplary on-road driving dynamics, and fuel economy improvements of more than 45 percent versus the outgoing mid-size SUV model. 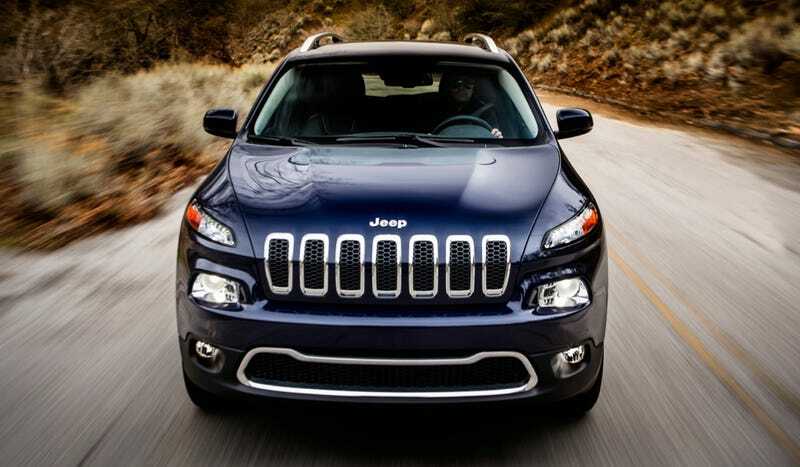 The all-new 2014 Jeep Cherokee will be built in the United States at Chrysler Group's Toledo Assembly Plant in Toledo, Ohio, and will arrive in dealer showrooms in the third quarter of this year.